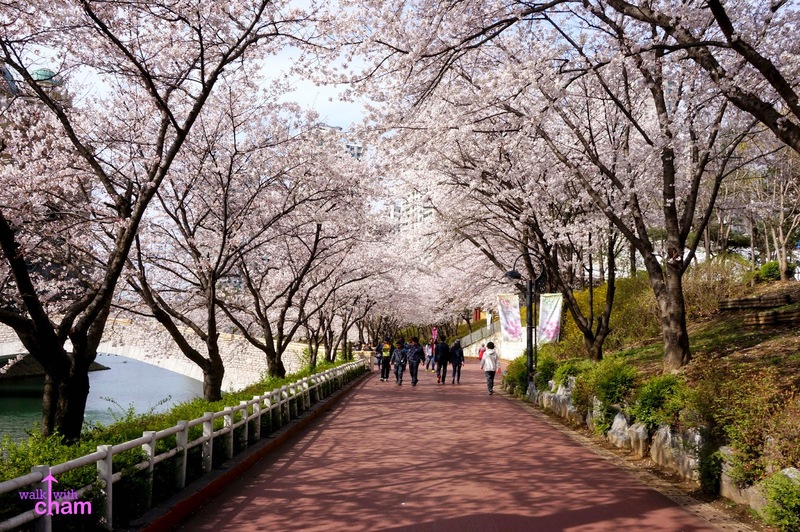 ChaMike strolls at Seakchon Lake. 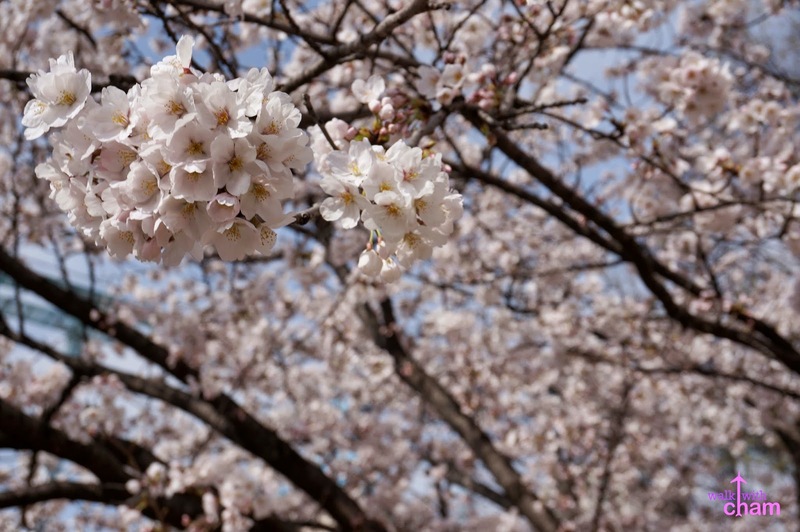 I started to become fascinated with spring ever since I experienced it last year in Japan. 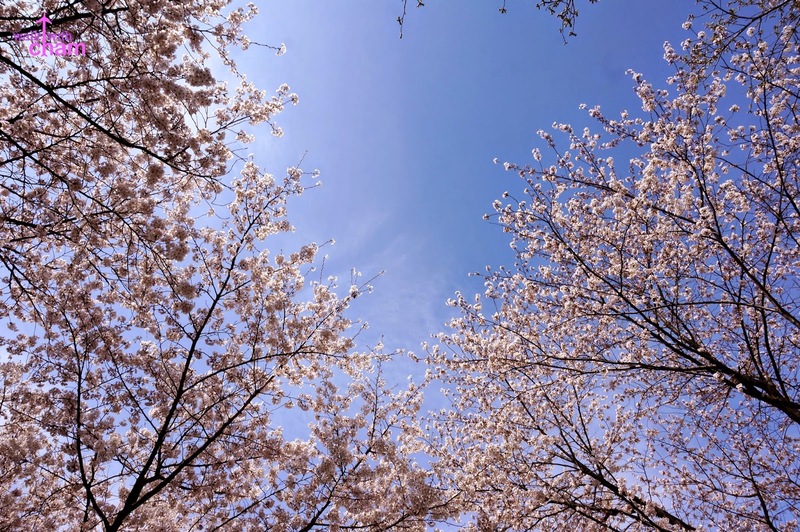 The pleasant weather- not too cold and not too hot, the dressing up which can be really fun because I don't get to wear those clothes to my tropical country and most especially the beautiful cherry blossoms of different shades of pink in every corner. 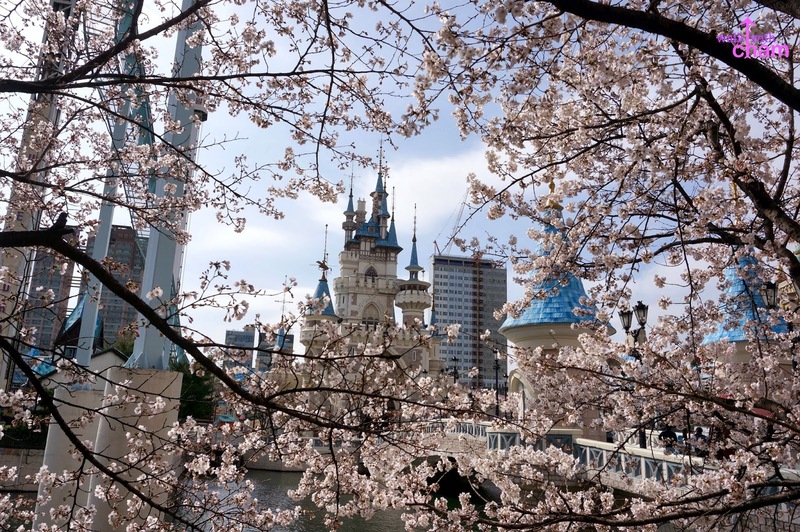 Because of that Mike and I would always plan to go to a country that has all of these (the reason why this holy week ChaMike chose to go to Seoul rather than going to a beach.) 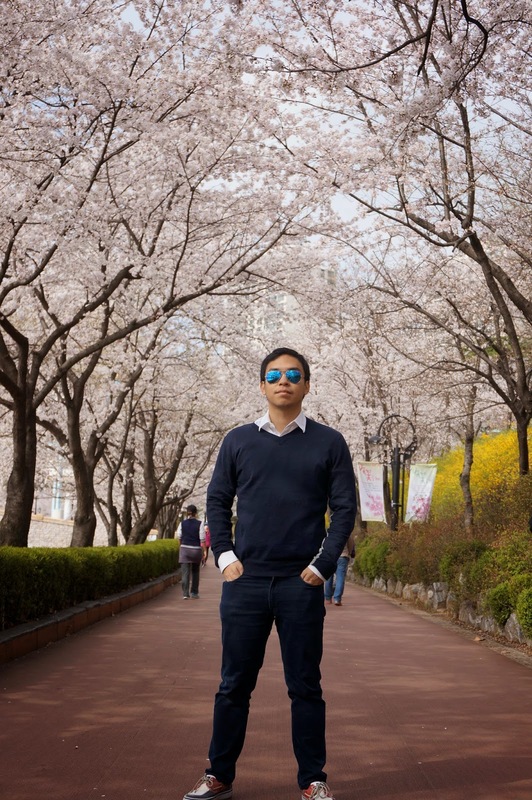 It was early spring when ChaMike went to Seoul so seeing a cherry blossom can be hard to achieve but the good thing was there were already tons of it in full bloom at Seokchon Lake. 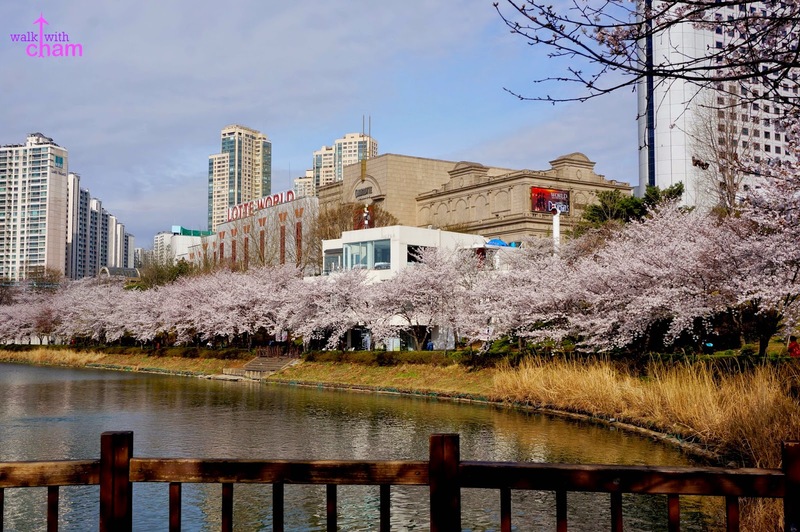 Seokchon Lake is the lake that surrounds the famous amusement park, Lotte World. 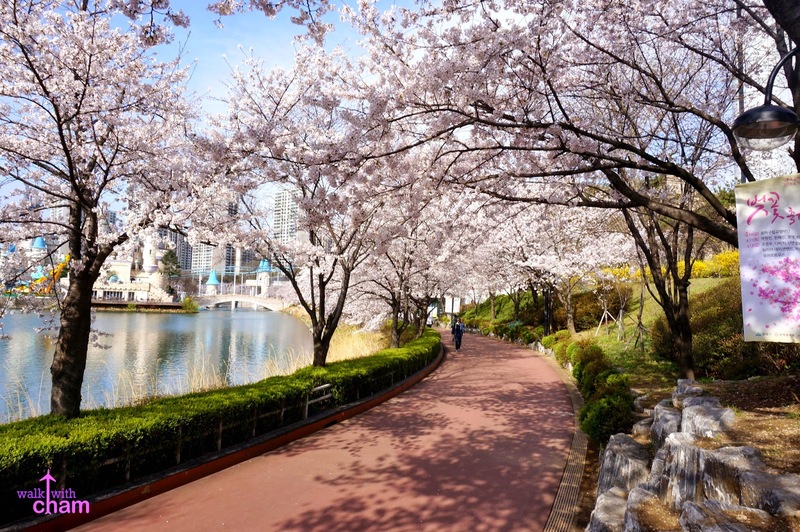 It is also famous for the Seokchon Lake Cherry Blossom Festival which is an annual event that takes place during early to mid April where you can see cherry blossoms covering the whole walking path. 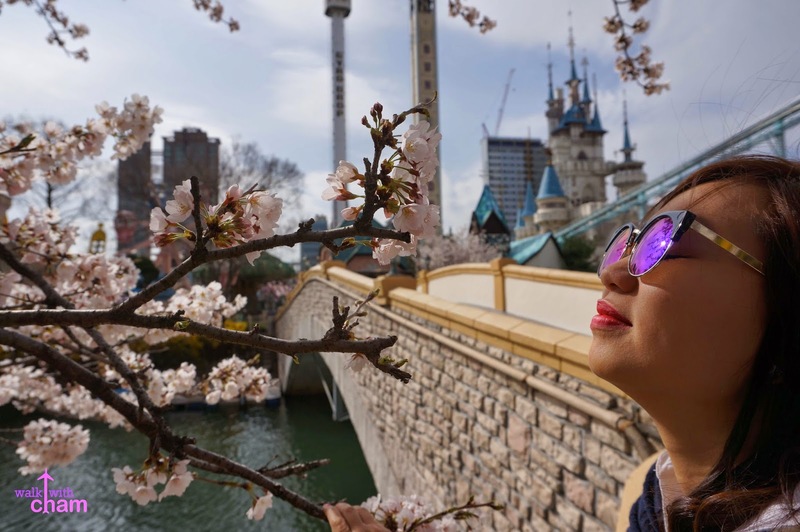 Because we were early, we didn't get to witness the Cherry Blossom Festival but were blessed to see the cherry blossoms in full bloom. Jamsil Station (Seoul Subway Line 2 or 8), Exit 2 or 3. The lake is located 200 m ahead. 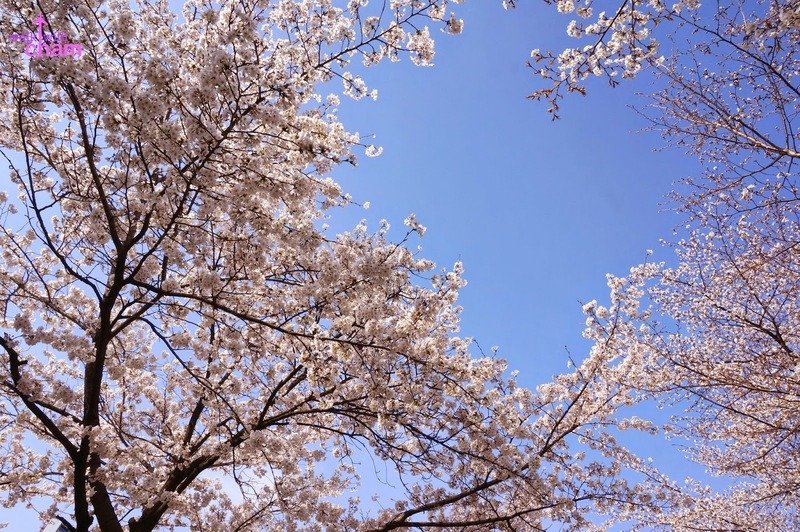 Seeing the beautiful cherry blossom trees was so unbelievable since according to our hotel reception cherry blossoms will start blooming a week later from our stay. Good thing I held my hopes high as I relied on my research. 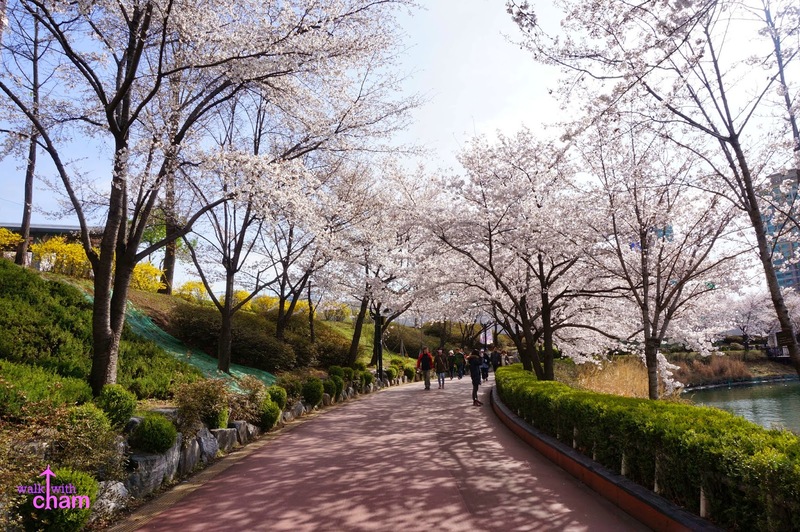 Instagram helped as well as I constantly check #seokchon and saw recent cherry blossom pictures of the place. 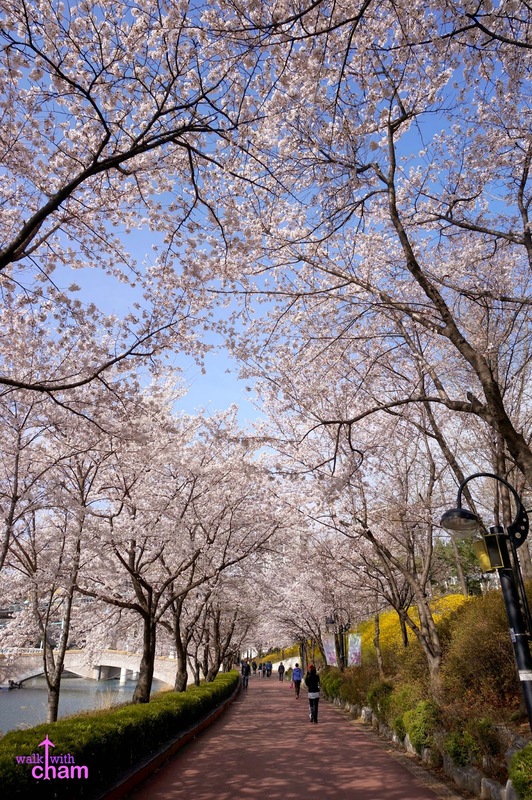 Indeed we saw a stunning view of the cherry blossom trees. It is absolutely my happy place! 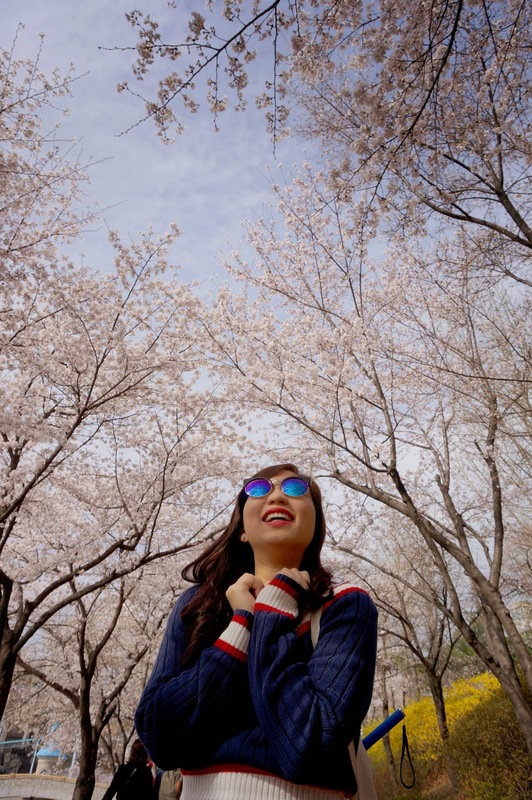 We walked for a good 60 minutes just to take photos and appreciate the cherry blossom embroidering the park. It is always the best backdrop during spring. So here we are (more of me) making different poses ala fashion blogger. And instantly, my Seoul spring break was complete! 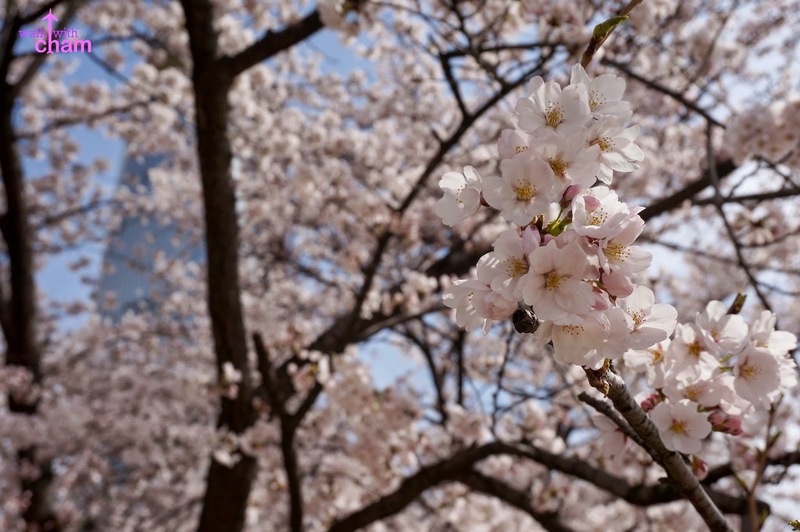 Thanks to the beautiful cherry blossoms who came early so we could see and appreciate them. 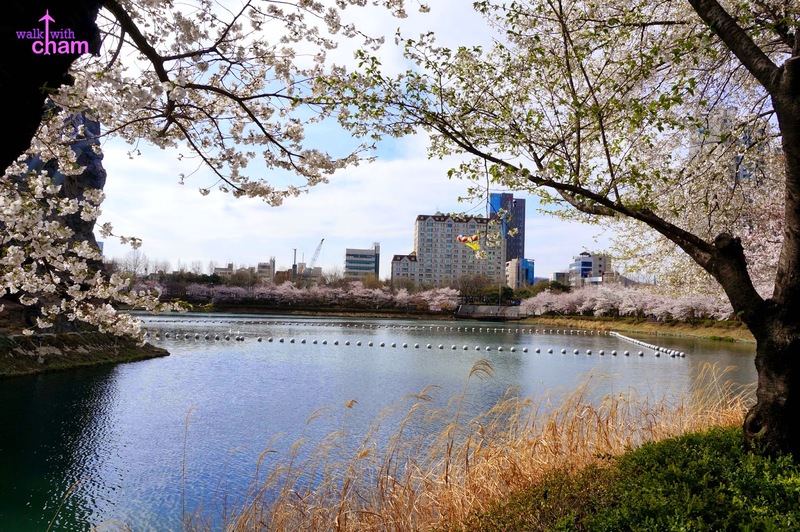 Thank you Seokchon Lake. Best time to go here is of course during spring and I suggest to visit this place first thing in the morning to avoid the crowd.